Largely a Roman Catholic holiday in Ireland, Easter is the second largest festival- after Christmas- on the church calendar. Beginning Ash Wednesday, the first day of Lent, the ‘Easter Season’ lasts 40 days, until Easter Sunday. The period of Lent is a time for self-reflection and families traditionally spend time together. Lent is also a time of sacrifice, with many people giving up their favorite things, like chocolate, coffee, or sweets. Easter Sunday draws crowds to Mass which is often followed by a large family dinner. Spring lamb will likely be on the menu, as will simnel cakes and hot cross buns – both imported traditions from England. My Irish language teacher Eoin remembers opening chocolate Easter eggs after Mass, no search required. My friend Susan, a US expat, says the biggest thing she’s noticed is that the Easter Bunny really isn’t a big part of the holiday. Neither, she says, is coloring eggs. 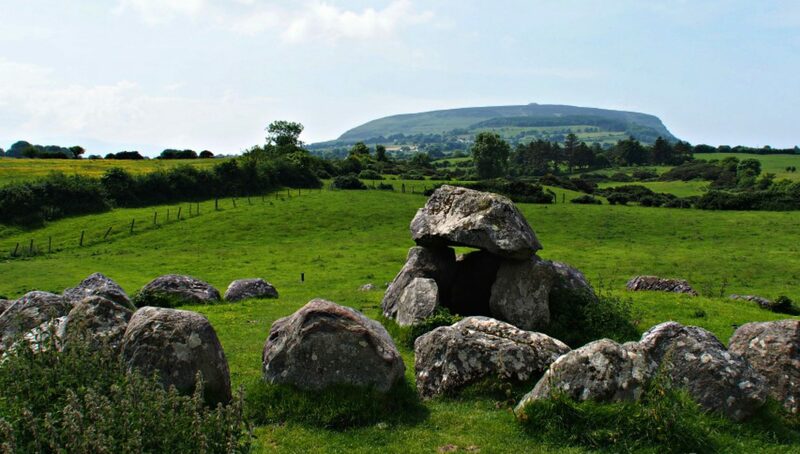 Though you won’t often find it in private homes, the Easter Hunt may be found in some communities as fundraisers for local GAA leagues or historic sites. Garden centers begin to do brisk business around Easter as people look at flowers to brighten their lawns as well as tools for ‘spring cleaning’. It’s also a great way to keep the kids busy, since schools in Ireland close for two weeks during Lent and through Easter. Miriam Barry, proprietor of The Old Bank in Bruff, says families will often use the ‘spring break’ for a quick getaway with the kids – preferably someplace sunny, though many will travel across Ireland to visit grandparents and cousins. An Irish Easter feast often includes roast lamb or large ham, new potatoes, and spring vegetables like carrots and asparagus. Hot Cross Buns, once reserved solely for Good Friday, are filled with symbolism. It is said that a 12th century monk baked the buns and marked them with a cross in honor of Good Friday. By 1592 Queen Elizabeth 1 decreed that the buns could only be eaten on Good Friday, Christmas, or for burials. Superstitions about the buns also grew with their popularity. It is said that a bun hung in your kitchen on Good Friday will remain fresh throughout the year. Due to the cross on top the buns are said to protect a kitchen from evil spirits and fires, or offer protection from shipwreck, if you are a sailor. If you want to create a friendship that lasts a lifetime this little rhyme and a hot cross bun is said to do the trick – Half for you, half for me, between us two good luck shall be. The Simnel Cake is a fruitcake decorated with 11 marzipan ‘eggs’ to represent the Apostles (minus Judas). Traditionally eaten on the fourth Sunday in Lent, known as Simnel Sunday or Refreshment Sunday, when the fasting of Lent was relaxed. Simnel cakes were traditionally reserved for the foutrh Sunday in Let but are now eaten through the 40 day period, and even on Easter Sunday. As we come to the most Irish of all days, St. Patrick’s Day, I began to wonder a bit about the Traditional Set Dance of the same name. What does it have to do with St. Patrick, and where did it come from? The history of St. Patrick takes us back to 450AD, when a young Roman citizen in Britain was captured and taken to Ireland as a slave. After years of isolation as a shepherd in the Ulster hills, Patrick was reunited with his family. It is said that he ‘felt a calling to become a priest’, which isn’t terribly surprising as his grandfather was a Catholic priest. As you know, St. Patrick’s life became the stuff of legend as he converted the pagans to Christianity. Today he is known for using the shamrock to teach the trinity and driving the snakes out of Ireland, and his holy feast day has become a world-wide celebration of all things Irish. And green. What is a Traditional Set Dance? A traditional set dance is a set dance composed or arranged by the 18th century dance masters to showcase their own footwork. Where did the song originate? The music for St. Patrick’s Day is also known as St. Patrick’s Day in the Morning and has been played for centuries. Historian W. H. Gratten Flood wrote that the song was played by Irish pipers at the Battle of Fontenoy on May 11, 1745, after the Irish had won the day’s battle for France. Following that battle, the song appeared in the score of a London ballad opera in 1763, and was used as the regimental air of the Irish Legion within Napoleon’s army, as well as by Irish fighters on both sides of the American Civil War. Where did the St. Patrick’s Day Set Dance originate? Though the Molyneaux version of St. Patrick’s Day has been a designated Trad set for many years, the version most commonly danced today was composed by Stephen Comerford and is a shortened version of the older settings. Recently the Molyneaux version has made a ‘reappearance’ on stages and at feiseanna. Faster steps and a more complex setting make this a challenging dance for even the most proficient dancer. Siobhan Butler dances Jeremiah Molyneaux's St. Patrick's Day from Siobhan Butler on Vimeo. 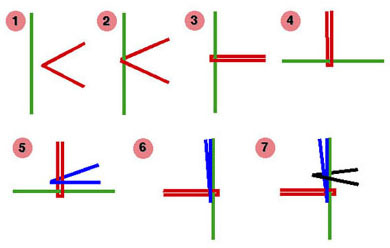 Traditional set dance steps are not altered by individual schools, and both the Molyneaux and Comerford steps are acceptable in competition.